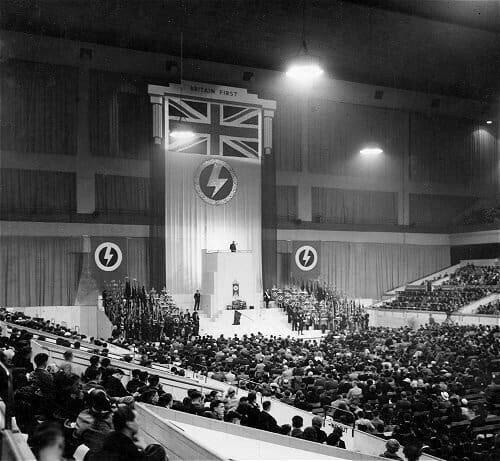 The Earls Court Peace Rally was the largest indoor political meeting in the history of the world. 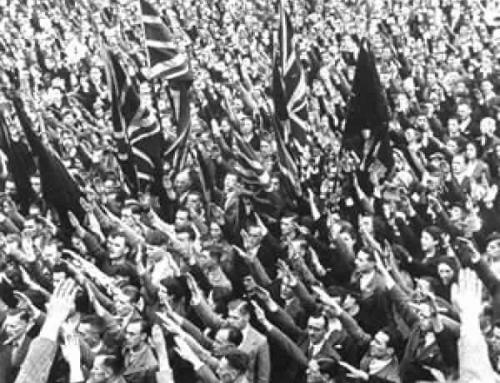 It was held in London on Sunday 16 July 1939 – less than 7 weeks before Britain declared war on Germany and the start of an armed conflict that cost the lives of 60-million people. 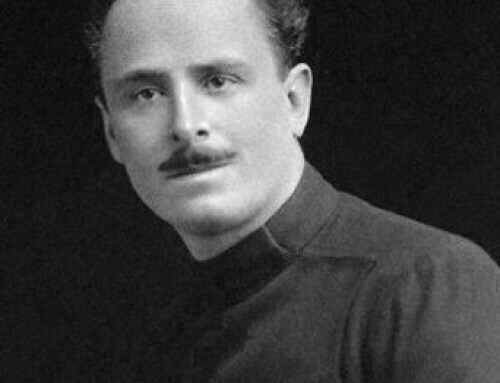 The sole speaker to the audience of over 30,000 people was Oswald Mosley, the charismatic Leader of the British Blackshirt movement. 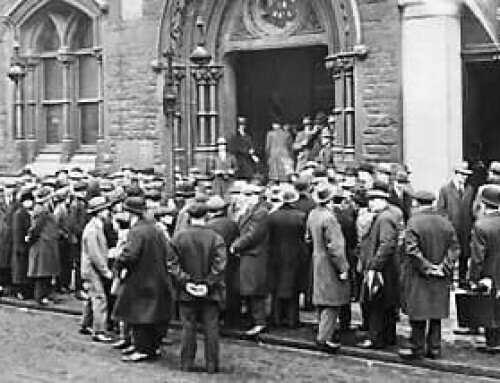 He was preceded into the Hall by the British Union London Drum Corps, 60 Honour Standard bearers, the Women’s Drum Corps and the massed standards of the Movement’s industrial groups and local branches. For over an hour, Mosley spoke without notes, hesitation or hostile interruption to make a last-minute appeal for ‘Peace with Honour, Empire Intact and British People Safe’. The transcript of that speech contained within these pages demonstrates his supreme ability as an orator – unequalled in the 20th century or beyond. The audience responded with tumultuous and prolonged applause. Few who heard his speech believed war could ever follow after that. Many who heard it would never survive to see its end. 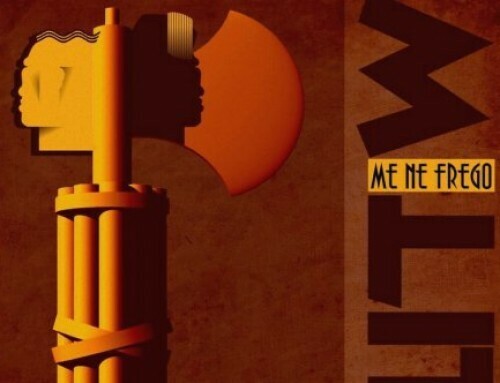 “We are going if it lies within us, and it lies within us because within us is the Spirit of the English, to say that our generation shall not die like rats in Polish holes. “They shall not die but they shall live to see above their heads the English sky, to feel beneath their feet the English soil and to enjoy the fair English countryside. 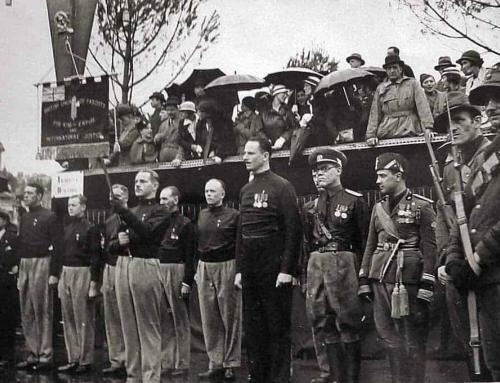 – Oswald Mosley, Earls Court, 16 July 1939.